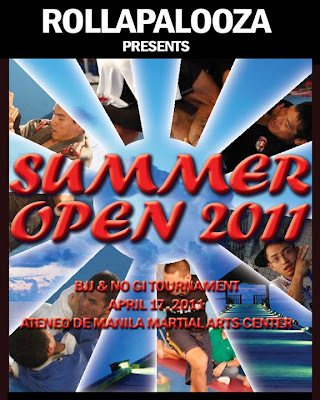 BJJ Globetrotter in the Philippines! NOTE: This is for announcement purposes only. Registration must be coordinated with the organizer, VPF-Atos. Hi @2fec6179422921df1d95b41cb317b468 ! My email is actually in the "Contact" button :) Please email me at tapout@pinkjiujitsu.com so I can have a look at it. Thank you for visiting my blog! Hi, when is the next Rollapalooza?